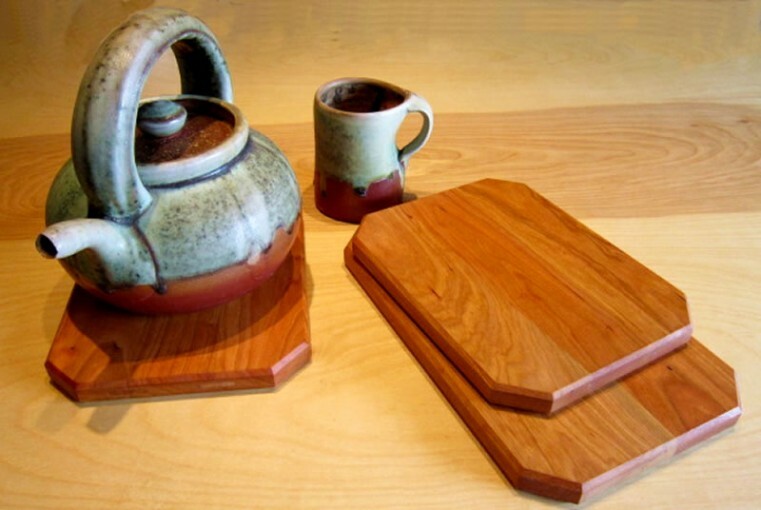 I have been experimenting with using various types of wood together which have different colours and grain patterns. 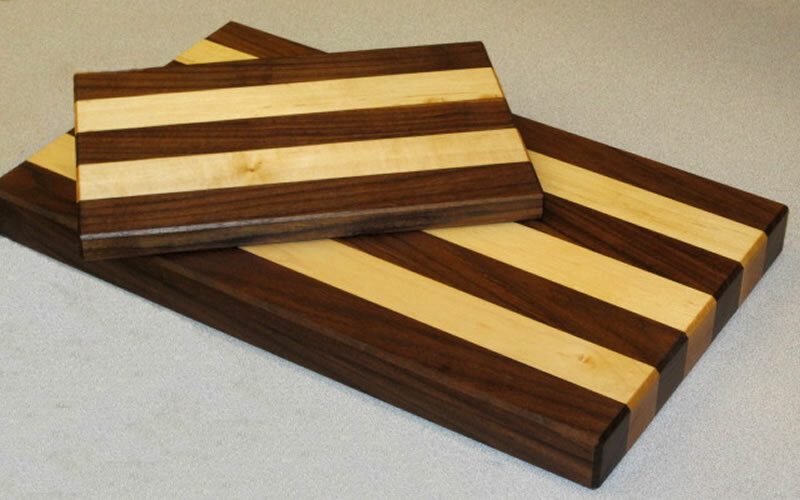 I liked how the colours of the maple and black walnut woods were so striking when alternated with each other, so I decided to make a set of cutting boards in this style. The small board is light and very portable, useful as a cheese board or for small items. 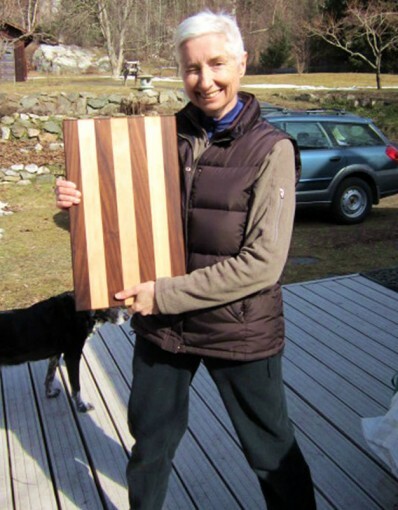 The bigger board I made with thicker pieces of wood to be a sturdy all-purpose cutting board in the kitchen. 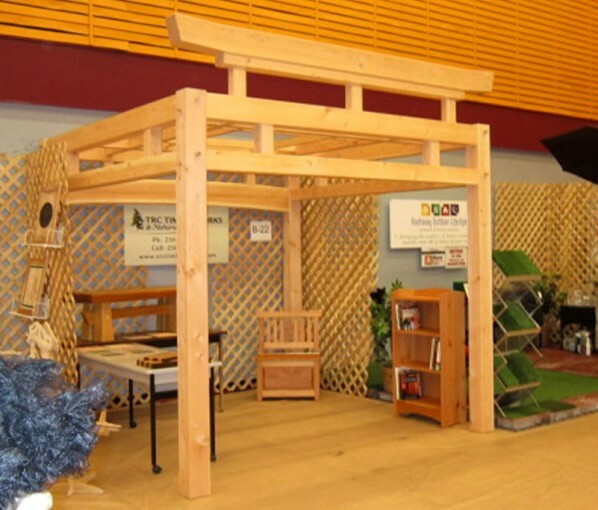 I was really happy with the result, and so were all the people who entered to win these in the draw I offered at the Castlegar Home Expo!